I love all the Activities at Slieve Dhu because there is something different to do every day. I used to play Bingo a lot before I came to Slieve Dhu so I am delighted to have it as a regular activity. I love our Tuesday Quiz because it keeps my mind active and that is very important to me. 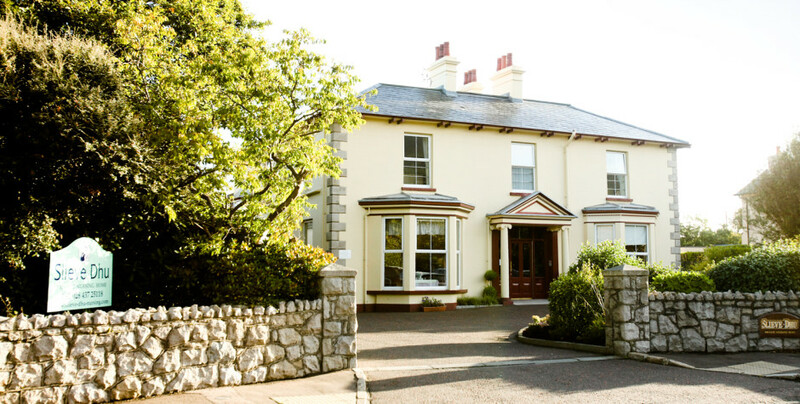 Slieve Dhu nursing & residential home was established in 1990, and has blossomed and developed through the years, becoming a core part of the local Newcastle community. It is through constant review, hard work and the commitment of its dedicated staff made the home a first choice for our residents, be it for a short stay, holiday relief or longer convalescence. Micheál Rodgers started his journey of success by establishing a private nursing home in his local town over 20 years ago. He has honored his vision by providing “Superb quality, with dedicated care” for all the residents who have resided within the Home over the years. Micheál believes that the success of Slieve Dhu is due to the constant review of what it offers the residents and their families. At the heart of this business is the high quality care provided to each and every resident by the dedicated staff ensuring they are happy, entertained and comfortable in their luxury surroundings. Slieve Dhu nursing & residential home is registered for 47 residents all in single rooms, many of which have en-suite facilities. The building itself was built in the 19th Century as a gentleman’s residence. It boasts three separate day rooms, fitted with all modern comforts. Armchair exercises & Games afternoon. Arts & Crafts or Relaxation therapy. Manicures, hand massages or flower arranging plus music or movie in the afternoon. Click here to see our full activity programme, including seasonal events. Slieve Dhu sits at the foot of the Mourne Mountains in the heart of Newcastle, the popular seaside town. It is convenient to local shops and amenities, and boasts beautiful views of the mountains.